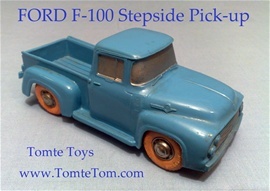 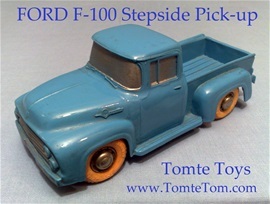 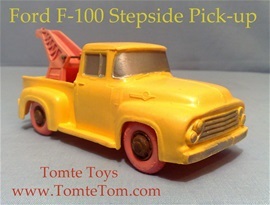 Tomte Tom's New Catalog - Frontpage - Soon 4-Sale! 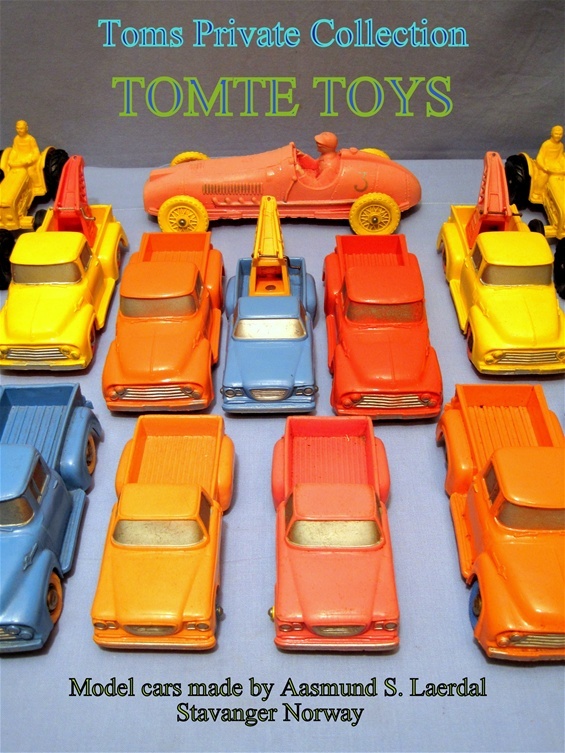 Toy Car Model - Made New in 1964! 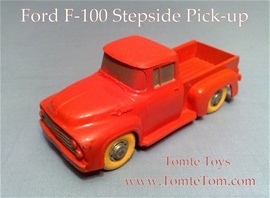 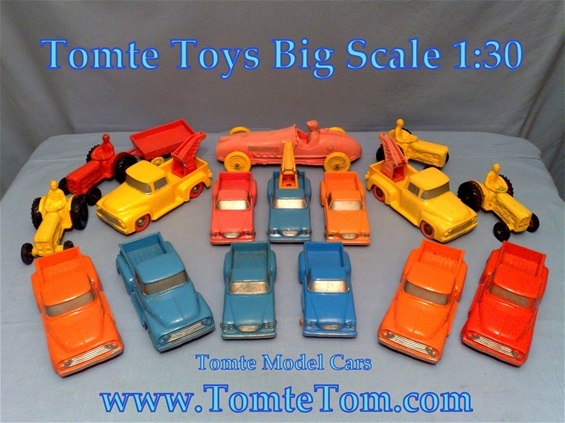 Full size = 480 cm : 30 = 16 cm So as some other model toy cars, not always correct scale! 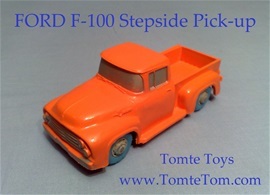 Markings: Back - "TOMTE" - "STAVANGER" - "NORWAY"
"TOMTE - TOYS" - "STAVANGER - NORWAY"
This make these models easy to recognize as "The real Stuff"
Sometimes reverse numbers from the moulding: "2" or "3"
Colour-mixed-with Body and Wheels: F. eks Green/Orange a.m. also mixed colours with Crane & Wheels!